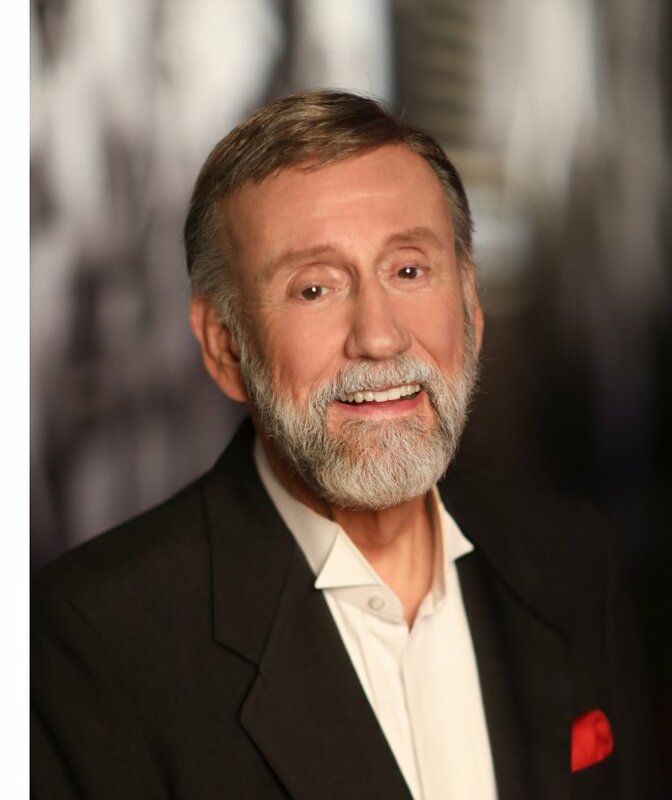 Nashville, Tenn. (March 18, 2019) — This fall, legendary recording artist Ray Stevens' legacy will be permanently sealed into the history books when he's formally inducted into the Country Music Hall of Fame. This morning at a CMA-hosted press conference held at the Country Music Hall of Fame® and Museum in Nashville, 650AM WSM radio host Bill Cody announced Stevens as a 2019 inductee into the revered institution. As part of the Country Music Hall of Fame Class of 2019, Stevens will be inducted in the "Veterans Era Artist" category, alongside Brooks & Dunn in the "Modern Era Artist" category and Jerry Bradley in the "Non-Performer" category. "I am seldom at a loss for words but when they told me I was going to be inducted into the Country Music Hall of Fame, I was thoroughly caught by surprise," explains Stevens. "What a great honor to be included in the company of the people who are already members. When I heard the news, I was speechless and all I can say is, 'It don't get no better than this!'" The formal induction ceremony for Stevens, Brooks & Dunn, and Bradley will take place at the Country Music Hall of Fame® and Museum in the CMA Theater later this year. Since 2007, the Museum's Medallion Ceremony, an annual reunion of the Hall of Fame membership, has served as the official rite of induction for new members. Stevens is renowned for recording both novelties like "The Streak" and serious fare such as "Everything Is Beautiful." He was elected to the Nashville Songwriters Hall of Fame in 1980. When he was 17, the family moved to Atlanta. He met his music mentor there, publisher/entrepreneur Bill Lowery. The mogul took him to Nashville to record and arranged a contract with Capitol Records. The company issued his self-composed teen tune "Silver Bracelet" with his "Ray Stevens" stage name in 1957. Lowery began using Stevens as an instrumentalist, backup vocalist and producer on recording sessions. The youngster also continued to make his own records. He first made the pop hit parade in 1960 with his novelty ditty "Sergeant Preston of the Yukon," issued on Lowery's NRC label. Stevens next signed with Mercury Records. He moved to Nashville in early 1962 and hit the ground running as a session musician on Leroy Van Dyke's "Walk On By" and Joe Dowell's "Wooden Heart." Those hits were recorded on the same day. So was his own comedic smash "Ahab the Arab," which exploded on the pop charts later that year. He continued to record humorous, self-composed songs for Mercury for the next five years. He also continued to work as a Music Row session musician. Stevens backed Brook Benton, Ronnie Dove, Brenda Lee, Patti Page, Elvis Presley, Charlie Rich, B.J. Thomas, and hundreds of others. He is the tenor harmony singer on the 1968 Waylon Jennings hit "Only Daddy That'll Walk the Line." Stevens began his stint on Monument Records with serious material, such as "Unwind" and the socially conscious "Mr. Businessman" in 1968. He also produced some of Dolly Parton's early recordings for the label. He roared back into the pop Top 10 with 1969's wacky "Gitarzan," but later that year introduced Kris Kristofferson's somber "Sunday Mornin' Comin' Down." The latter song marked Stevens' debut on the country charts. When pop superstar Andy Williams went on hiatus from his network television show in the summer of 1970, Stevens was tapped to host the temporary replacement variety series. For its theme song, Stevens wrote "Everything Is Beautiful." Released on Williams' Barnaby label, "Everything Is Beautiful" became a No. 1 pop smash. It also earned Stevens his first Grammy. The song has since been recorded by more than 100 other artists. In 1971, Stevens scored his first Top 20 country hit with the gospel standard "Turn Your Radio On." In 1972, his recording of "Love Lifted Me" earned him a gospel Grammy nomination. "Bridget the Midget" became a massive British hit in that year as well. It was the early 1970s when Stevens invested in Nashville real estate, built his Music Row studio/office complex and formed his own publishing company. Staff songwriters included Layng Martine (Presley's "Way Down," Billy Crash Craddock's "Rub It In"), Mark Peterson (Sammy Kershaw's "Cadillac Style" and "I Can't Reach Her Anymore") and Buddy Kalb (Chet Atkins' "Frog Kissin'" and many Stevens singles). His innovative skills as an arranger were also in evidence on a doo-wop version of the operetta oldie "Indian Love Call" (1975) and a treatment of the Glenn Miller swing classic "In the Mood" (1977) done in clucking chicken voices (billed as The Henhouse Five Plus Too). He continued to mix comic and serious songs during stints with Warner Bros. and RCA. But when he signed with MCA Records' country division in 1984, it was as a comedy act. Stevens emphasized his funny forte in the 1980s with such country hits as his self-composed "Shriner's Convention" (1980) and the Kalb-penned "Mississippi Squirrel Revival" (1985). "I Need Your Help Barry Manilow" (1980) and "Would Jesus Wear a Rolex" (1988) earned him comedy Grammy nominations. At the venue, he noted audience enthusiasm for his humor videos. His 1992 compilation "Comedy Video Classics" became a 10-times Platinum home video. This led to a series of similar DVD projects, several of which became million sellers. Stevens marketed both video and music efforts on his own Clyde label in the new millennium. In 2012, he issued the giant, 96-song boxed set "Encyclopedia of Recorded Comedy Music." He published his autobiography, "Ray Stevens Nashville," in 2014. The following year, he launched his own television series on RFD-TV and then Public Television. In 2018, Stevens opened CabaRay. This 700-seat dinner theater is Nashville's most sophisticated and technologically advanced showroom.